I love going to college football games- there is nothing like game days but, TBH, I am not going to wear some of the outfits that I see my daughter wearing – been there, done that when I was a student. I’m all about the Red and Blue on game days and I am somewhat about the fashion. But I also want to be comfortable especially on those Florida humid days when you are packed in a stadium and it is more than 90° out and the humidity is stifling. You can wear officially licensed Owl wear or just dress in Their colors. Here are some great suggestions for us Moms and Dads from cotton tops and t-shirts to comfortable dresses for the moms and collared shirts, polos or jerseys for dads or just a super comfortable, breathable tee. Throw in some accessories including a regulation stadium bag and a logo-ed skin for your cell and everyone will know you love the Owls. The right gear is essential when you want to make a statement on game day! This Classic Primary Logo tee will show them all who the #1 FAU Owls fan is anytime you rock it! Fanatics. Sure you can go around and tell everyone how dedicated you are to the FAU Owls, but there is a much easier way to get your point across. 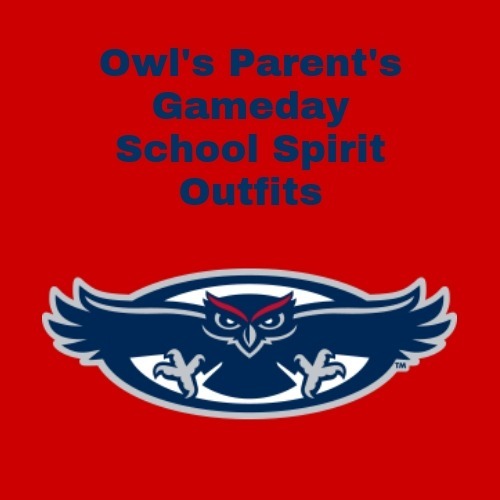 Let everyone you pass know that you are a born and bred FAU Owls fan with this Proud Mascot T-shirt! This tee boasts your team pride with FAU Owls graphics. There are many ways to show your spirit, but this way you won’t lose your voice. Rise up… it’s game-time. Show your spirit in this FAU Colosseum NCAA Women’s Big Sweet Dollars T-shirt to show support for your favorite university and the teams they field. This women’s tee is soft, comfortable, and will always show your team spirit in style. This officially licensed and multifunctional Women’s Football Fan Jersey will have you tailgating in style while supporting the Owls at the same time. Order yours today! When you just want to rep the Red, try this lightweight red Alexandra Ruffle Hem Shift Dress from Francesca’s. 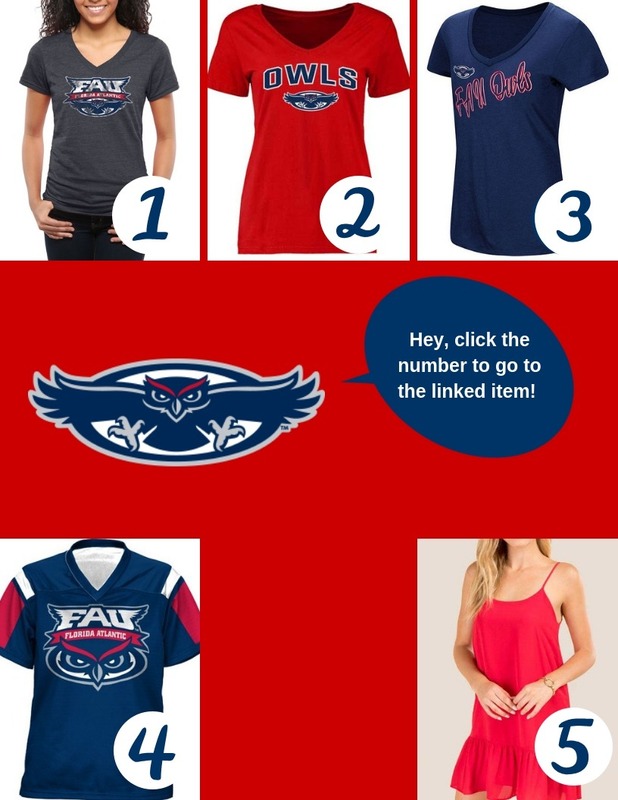 Do you wish you had an appropriate way to show your FAU Owls pride while at work? Well, this Wicked woven long sleeve shirt is the piece that you’ve been looking for! It’s similar to those already in your wardrobe with its single chest pocket and button-down collar. The embroidered FAU Owls graphics on this simple shirt will have you looking sharp wherever you sport it!. Proclaim your love for the FAU Owls with this Vansport two-tone polo! The bold embroidered graphics are just the thing to help radiate your team spirit no matter where you are. Features UV protection and a moisture management micro-mesh knit body so you can stay cool and dry while cheering on the greatest team around. Show off your team spirit for the FAU Owls with this Hudson Denim long sleeve button-down shirt! The bold embroidered graphics are just the thing to help radiate your team spirit no matter where you are. This officially licensed and multifunctional Football Fan Jersey will have you tailgating in style while the Owls at the same time. Kick it at your next big tailgate party with your team colors in the Skicks® Florida Atlantic Owls Low Top Sneaker. Showcase your team pride with real flair this season! This versatile sterling silver FAU Owls 3-piece Deluxe jewelry set is the perfect addition to your wardrobe. Or try the ribbon necklace. 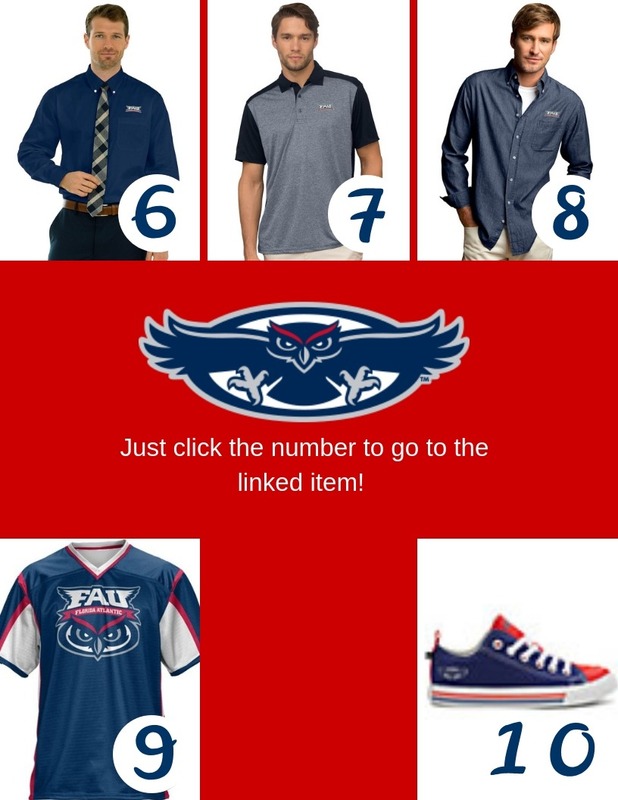 You’ll be ready for any chance to represent your FAU Owls, game day or not. Accentuate your iPhone with an FAU phone skin.